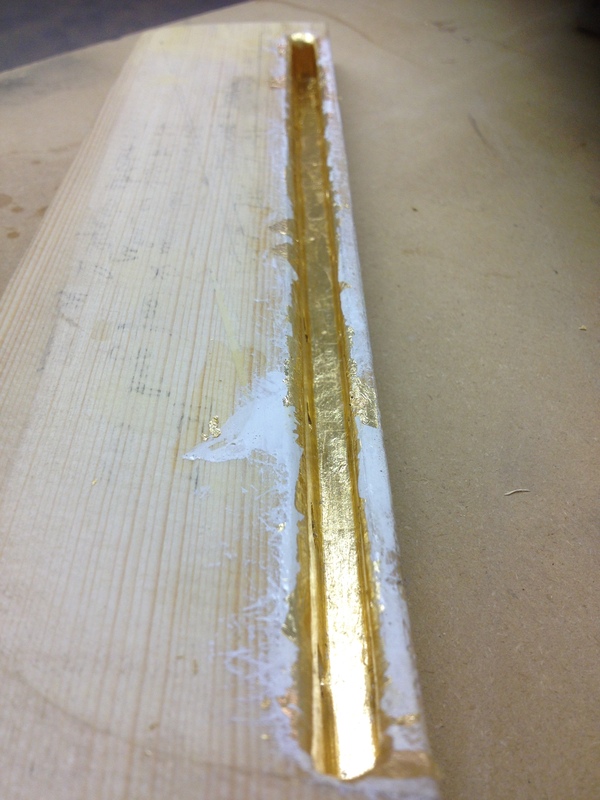 I am happy to announce the completion of the newly developed integral peg box and using gold leaf as a surface treatment. Now I am ready to begin shaping and veneering the neck, and fitting the tuning pegs. You can find out more about these features here. This entry was posted in Uncategorized and tagged Centre for Transformative Media, gold leaf, guitar making, Parsons the New School for Design on June 26, 2014 by Florian Vorreiter Lutherie.